“Closing the Gap” was published by the PA Trappers Association. 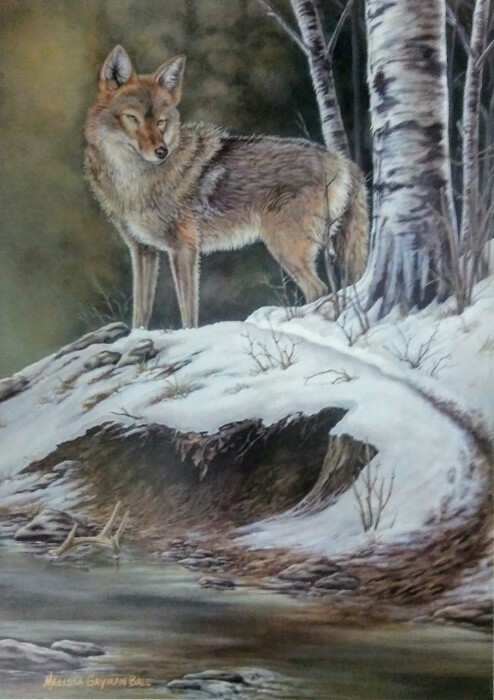 The painting depicts a mature coyote in his winter coat, closing in on a fresh deer trail. This print has an Artist Proof edition size of 125 signed/#’d prints. Prints are $95.